Prefilling or prepopulate as it is sometimes called, means setting a default answer to a question. Each option is explained more in detail below. In the question editor, you can specify a response for a question ahead of time. This can be a fixed value, a variable, or a random selection. Click on the Prefill tab. 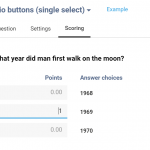 Select or enter the values for each answer option. 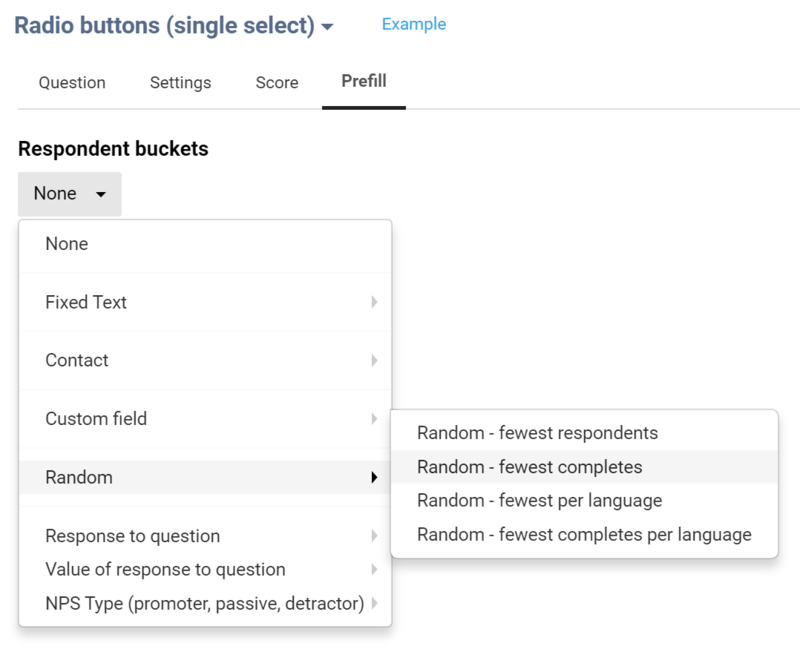 You can prefill open question types such as text fields, sliders and date pickers from a variety of sources: Meta data that you imported, the querystring of the survey URL, previous answers of surveys, and fixed values. If you select ‘fixed text’ you can use all of our variables. When you prefill a multi-choice question like radio buttons or checkboxes, and you want a fixed response to be selected, then choose ‘fixed text’ and enter the order number of the item you would like selected. So if you always want the third answer option to be prefilled, then enter ‘3’. 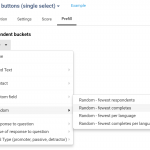 If the the question is multi-select, like checkboxes and you would like more than one option to be selected enter a comma-delimited list of the order numbers of the answer options you want to be prefilled, such as ‘1,4,5’. This will pre-select the first, fourth and fifth option. You can go a step further than just entering the order numbers to preselect answer options of closed questions. You can preselect answer options when their text matches the prefill value. For instance, you have three answer options: internet, tv, smartphone. If you enter in ‘internet’ in the ‘fixed text’ box, then that will preselect the ‘internet’ answer option. You can go even further and combine this power with variables. For example, you are conducting an HR survey and you import contacts and include their department in a column of your file, which you map to field 1 (dept) in CheckMarket. To get some structure in that data, you create a hidden question of radio buttons for each department, then you set the prefill to ‘Field’ -> ‘Dept’. When a respondent answers the survey, that question will get prefilled based on the value in field 1 (Dept). So if field 1 for a respondent is ‘Accounting’ then the answer option that says ‘Accounting’ will get selected. Our randomization takes into account which answer choice has been selected the least. Why? Because, when you flip a coin 10 times, you could get ‘heads’ 8 times. In survey, it is better if each answer choice has an equal number of responses. So how is that random? Well, the system selects a random answer choice with the fewest number of responses. An example will make it more clear: We have a radio buttons question with four answer choices (group 1, group 2, group 3, group 4). When the first respondent answers, all four answer choices have 0 respondents, so the system will randomly select 1 of the 4. Say he gets ‘group 3’. The second respondent will get a random answer from group 1, 2, or 4 because those now have the fewest number of respondents and so on. Random – fewest respondents: selects a random answer option with fewest number of responses. Random – fewest completes: selects a random answer option with fewest number of responses from respondents that reached the end of the survey. Random – fewest per language: selects a random answer option with fewest number of responses for each language separately. 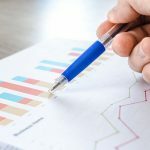 Random – fewest completes per language: selects a random answer option with fewest number of responses from respondents that reached the end of the survey and this per language. The spreading of the respondents may not be exactly equal. The preselection occurs based on the response counts at the moment the respondent gets to the page with this question. Their response in turn, will not be added to the response counts, until they click on ‘next’ or finish the survey if the preselection is based on completes. If you do not know the prefill value ahead of time, you can pass it to the question by adding querystring parameters to the survey URL. This is often used when you are not sending invitations through CheckMarket. For instance, on the bottom of an order confirmation form, you want to ask how satisfied the customer was with their shopping experience in 1 to 5 stars. You can also send their customer id, order id, cart value, referrer, etc to the survey. Another example is when embedding a survey in your mobile app. Pass user id, installation date, time on app, etc. Then use this data for routings, reports, notifications, and more. Can the respondent change the pre-filled answer? That depends… If the question is shown to the respondent, they can. If it is hidden or because of routing, not shown to the respondent then no they cannot. Letting the respondent change the pre-filled answer is used when you think you know the answer but, would like the respondent to confirm it. For instance, address details. Are pre-populated questions always saved? Not necessarily… If the respondent does not see the page with the question or does not click on ‘next’ button at the bottom of the page, then the pre-filled value will not be saved. If the question is hidden, and the respondent does go through the page and click ‘next’, then the pre-filled value is saved. This is also true if the hidden question is on the first page, and that first page is auto-submitted, as is done when the first question is embedded in the survey invitation.